This is the first edition the Czech compilation novel of Dance Hall of the Dead / People of Darkness. This 1992 edition was published by Mladá fronta in Praha, Czech Republic. 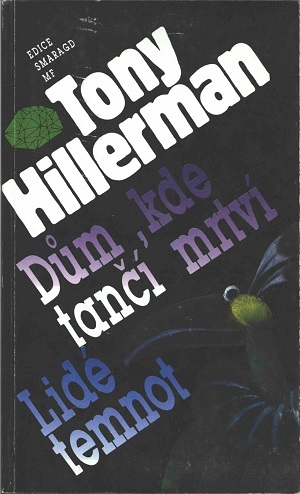 Tony Hillerman's original English text was translated into Czech by Simon Pellar. The cover art is uncredited but features the image of a bird which is supposed to resemble a Zuni Shalako. Shalako is a ceremony held generally in the beginning of December in Zuni pueblo. It encompasses a series of dances and ceremonies. Binding: Full-colored paper covers with the title and author printed vertically on the spine.